Optimized neutral gel with long shelf life for high speed electrophoresis (HSE). Running time is 20 minutes (30 minutes for second dimension in 2D applications). 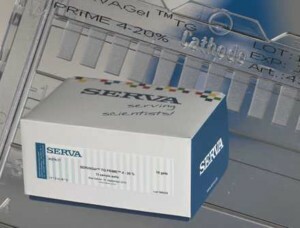 Especially suited for Western Blotting due to less restrictive acrylamide matrix.